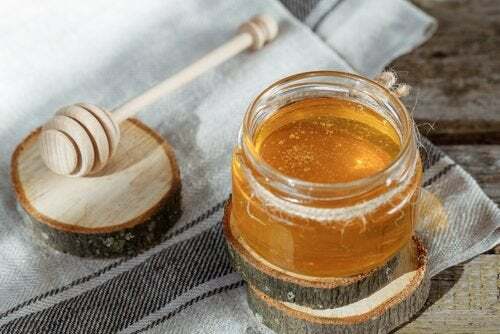 The properties of this homemade honey and ginger syrup are great for preventing and alleviating cold symptoms without having to depend on chemicals. There are commercial and homemade remedies that can noticeably decrease the symptoms of colds so that they don’t interfere with your daily activities. Among such homemade remedies is a natural syrup made with honey and ginger that provides your body with nutrients and properties that strengthen its defenses. 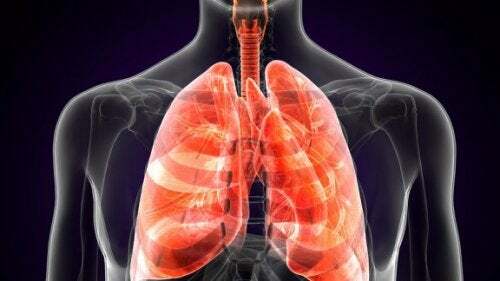 A few times a year, when the weather gets colder, it’s common for the immune system to weaken. As a result, a cold usually appears. 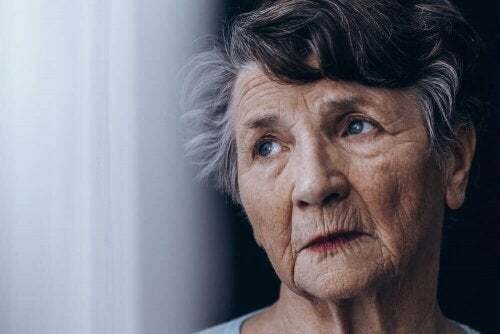 While the weather isn’t the only factor that causes this condition, being exposed to low temperatures increases your risk considerably. A cold triggers a series of symptoms that, depending on its severity, can affect your quality of life for a few days. 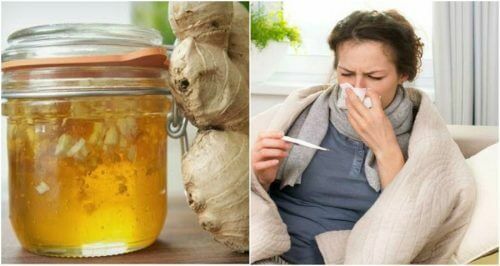 The combination of bee honey and ginger gives us a natural syrup that fights the uncomfortable symptoms of the flu and colds. Once absorbed, these ingredients strengthen your immune system. This helps your body respond to viruses that cause this condition. The difference between this syrup and those sold in the store is that this recipe is free of added chemicals. Because of this, you can take this syrup safely and without any risk of side effects. 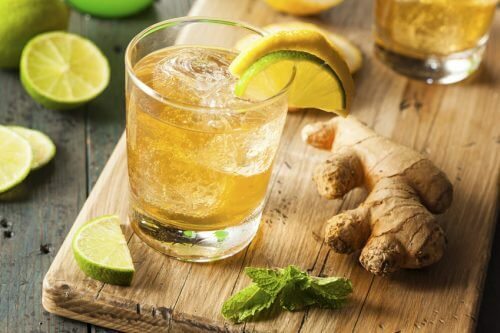 Read on to learn more about the benefits of this homemade honey and ginger syrup and to find out how you can make it. Honey is a powerful anti-viral and anti-bacterial bee product that has been used for ages as a natural remedy for problems that affect our airways. Rich in enzymes and essential amino acids, it’s certainly an effective treatment for excess phlegm, congestion, as well as other cold symptoms. First of all, honey contains both vitamin C and vitamin A. These are necessary for improving your defenses when faced with a viral attack. Honey provides trace elements such as potassium and magnesium, which are necessary for inhibiting the action of microorganisms in your body. The anti-inflammatory power of honey calms irritation in the airways and, at the same time, controls both your cough and your throat pain. Ginger is a spice with anti-inflammatory properties and expectorants that has been used for centuries to treat colds. Gingerol, its main asset, provides antibiotic effects that help to eliminate both viruses and bacteria that affect your pulmonary health. Ginger contains Vitamin C, which is essential for strengthening the immune system and increasing the production of antibodies. It provides your body with potassium, niacin and phosphorus. These substances help to control inflammation. Ginger also has antitussive properties, which are key to relieving your cough. Its high content of antioxidants helps not only to clean but also to protect the airways while minimizing the negative effects of free radicals and toxins. How Do I Make This Homemade Honey and Ginger Syrup? Making this syrup is rather simple, and if you compare it with conventional methods, it’s much more cost-effective. When the weather starts getting chilly and you feel a cold coming on, don’t hesitate to start using it. Besides, you can have it regularly as a way to support your defenses. In other words, you don’t have to be sick to take it. First of all, peel the ginger root. Cut into fine slices afterward. Add the spice to the glass jar, and then cover it with the cup of bee honey. Seal the jar. Put it in a dark place for 48 hours. After that time, start the treatment with the syrup. How Do I Take this Homemade Honey and Ginger Syrup? To fight a cold, take 3-4 spoonfuls of the syrup a day. As a preventative method, take 1 spoonful on an empty stomach every day. For kids, replace spoonfuls with teaspoonfuls. If you’d like, combine the syrup with warm water and lemon to make it easier to consume. As you can see, it’s very easy to make your own syrup to fight the symptoms of colds that affect your health. Follow the given recommendations, and see the benefits for yourself.